Kevin Keegan says he doesn't know of a club that 'has been run as badly' as Newcastle United under Mike Ashley. The 67-year-old ex-Newcastle boss has published a series of revelations about his second spell at the club in his soon to be released book 'Kevin Keegan: My Life in Football'. This month, it was revealed Keegan did not want to breath the same oxygen as Ashley and would not return to St James's Park whilst he remained owner. Ashley bought the club from Sir John Hall in 2007, who was the majority shareholder with Freddie Shepherd holding 28%, and has has since overseen two relegation where fans have since protested to try and force him out of the club. 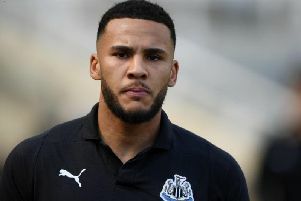 One of Ashley's better moves was bringing Keegan back to Tyneside in 2008, however his exit proved to be the start of things turning sour when the Magpies great resigned after just 233 days in charge. Keegan has since lifted the lid on his ownership. In an interview with The Guardian, Keegan described the Magpies as a special case of being run badly. “They (Newcastle) are a real one-off," Keegan said. "I don’t know of a club that has been run as badly or with such disregard for people." Meanwhile, Keegan reminisced about the days under Sir John Hall, admitting it was the former Newcastle chief's passion that brought him to the club. However, it was also the reason which led to his first departure. Keegan recalled the moment John Hall first approached him to manage the club: “He said the two people talking to each other right now can save Newcastle United – you’ve got the passion, I’ve got the money." "It was this greed to get every penny they could from the float," he added as Keegan opened up on his departure - revealing his wife said he should have remained on Tyneside. "This guy from the City, Mark Corbidge, was basically running the club, and he asked me to sign a 10-year contract now or leave. I just walked out.